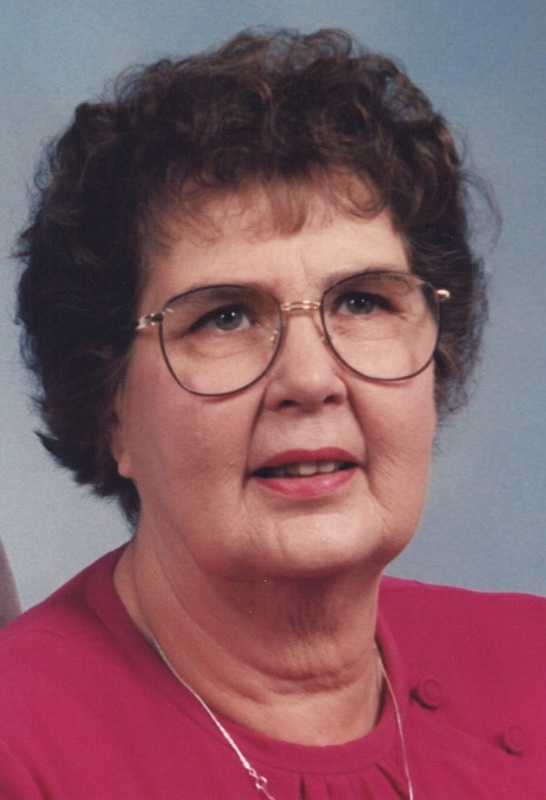 Mary Maxine Jenkinson, 83, of rural Girard, died at 12:12 p.m., Tuesday, October 27, 2015 in the Girard Medical Center in Girard, Kansas. Maxine was born December 9, 1931 at Girard, a daughter of Ralph and Zelphia (Baysinger) Roseboom. Maxine grew up and attended schools in Girard and graduated from Girard High School. She married Raymond E. Jenkinson on December 13, 1949 in Girard. Raymond survives of the home. Maxine worked at the Census Bureau and the SRS office, both of Pittsburg, before retiring in 1989. She attended the United Chapel Church near McCune, Kansas. Maxine enjoyed her family, including her grandchildren and great-grandchildren, foster parenting, cooking, gardening, puzzles, reading, and she was a 4-H leader for over 20 years. Survivors, in addition to her husband, Raymond, of the home, are her daughters Debra Clark, of Girard, and Mary Sargent of Carthage; a son, Eldon Jenkinson, of Wichita; five grandchildren; four great-grandchildren. Maxine was preceded in death by her sons Gerald Lee “Jerry” Jenkinson, on July 26, 1989 and Arthur Jenkinson, on December 28, 2011; and a sister, Elva Bensch. Funeral services will be at 11:00 a.m., Friday at the Smith-Carson-Wall Funeral Home in Girard with Rev. Gaylord DeMoure officiating. Burial will be in the Girard Cemetery. Friends may call after 2:00 p.m., Thursday at the funeral home.